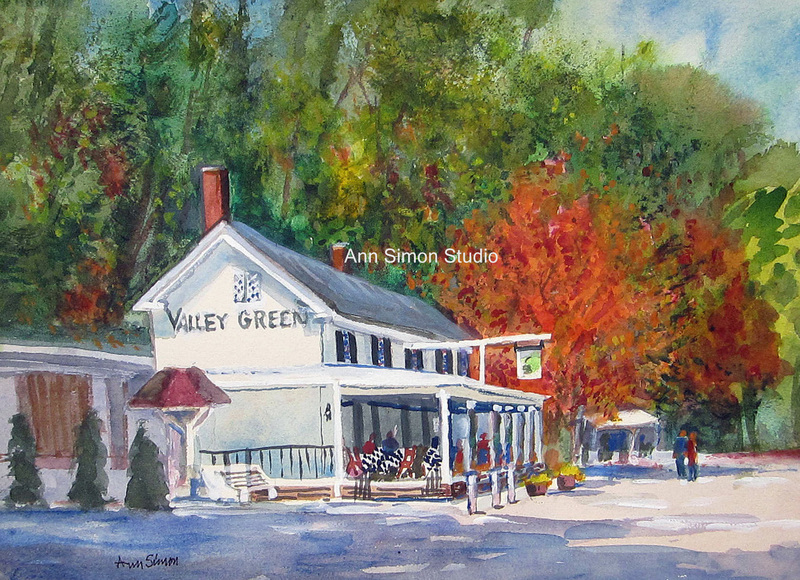 "Valley Green" is a new original watercolor by Ann, with prints available in two sizes: 8 1/2" x 11" and 11" x 17". One of the most popular destinations in Philadelphia, Valley Green was an inn, and is now used as a restaurant. It is popular with bikers and hikers enjoying the the Forbidden Drive trail that runs alongside Wissahickon Creek in Fairmount Park.